Review: Holding Up the Universe by Jennifer Niven (Proof) - Everyone thinks they know Libby Strout, the girl once dubbed 'America's Fattest Teen'. But no one's taken the time to look past her weight to get to see who she really is. Since her mum's death, she's been picking up the pieces in the privacy of her home, dealing with her heartbroken father and her own grief. Now, Libby's ready: for high school, for new friends, for love, and for EVERY POSSIBILITY LIFE HAS TO OFFER. I know the part I want to play here at MVB High. I want to be the girl who can do anything. Until he meets Libby. When the two get tangled up in a cruel high school game which lands them in group counselling, Libby and Jack are both angry, and then surprised. Because the more time they spend together, the less alone they feel. Because sometimes when you meet someone, it changes the world - theirs and yours. From Goodreads. Please note: I have a lot of thoughts about this book, so this is a very long review. I cannot tell you how deeply I fell for Jennifer Niven's YA debut All the Bright Places last year. I was so moved by that book, it's stayed with me, and though I haven't yet re-read it, I can still see scenes from it; I can see and hear Finch, I remember quotes... it's just one of the most incredible books I've ever read. 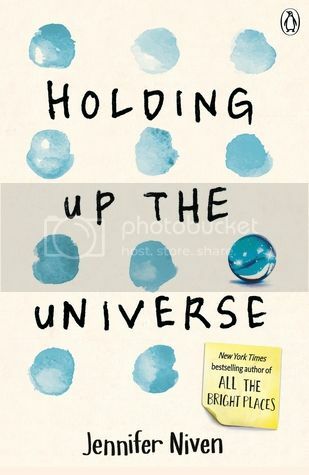 So I was absolutely over the moon to hear about Niven's second YA novel, Holding Up the Universe. This story is just perfection. When Libby Strout's mother died when she was 11, Libby was so overcome with grief, the only way she could deal with it was to eat. And eat. Until she was so big she couldn't fit through her front door. Now, after medical help and couselling, Libby isn't as big as she was and is ready to return to high school. She is feeling confident and brave, and ready to show the world who Libby Strout really is. But her high school peers aren't as welcoming as they could be. Cool and funny, Jack Masselin is liked by everyone. But what no-one knows is that Jack has Prosopagnosia; he can't recognise people's faces - when he looks away, or they turn around, he completely forgets their facial features. He doesn't recognise his family or himself. He goes through life putting on a front to try and keep his condition under wraps, but each and every day at school is a struggle when he can't be sure who is who. When Jack's friends start playing a cruel game on their fellow students, Jack is uneasy. It's humiliating, it's hurtful, it's bullying. He doesn't know how far his friends will go, but if he takes part, he can make sure things don't go to far. The game leads to Jack and Libby having to take part in group counselling, and though Libby can't stand him at first, as the two get to know each other, for the first time, they both felt seen - Libby sees the person behind the front, Jack sees the person beyond the weight - and everything changes. I need to start off by saying that Holding Up the Universe is not All the Bright Places. Expecting it to be so, even though I adore that book so much, is unfair to this story, and I think puts too much pressure on Niven to write a book that matches or surpasses All the Bright Places. These are two completely different stories. The only thing they have in common is that they deal with grief, but the way they do that is completely different. Do not go reading Holding Up the Universe expecting All the Bright Places. But do read it expecting an incredible, amazing story, because that is exactly what you'll get. This book is really interesting, because at the heart, it's a romance, but Jack and Libby have their own individual stories and struggles, too. Libby has anxiety and is recovering from an eating disorder, she's still grieving for her mother, and she's bullied because of her weight. As well as his Prosopagnosia, Jack is dealing with some family issues. And yes, they help each other to some extent, but mainly, and most importantly, they do the work themselves. 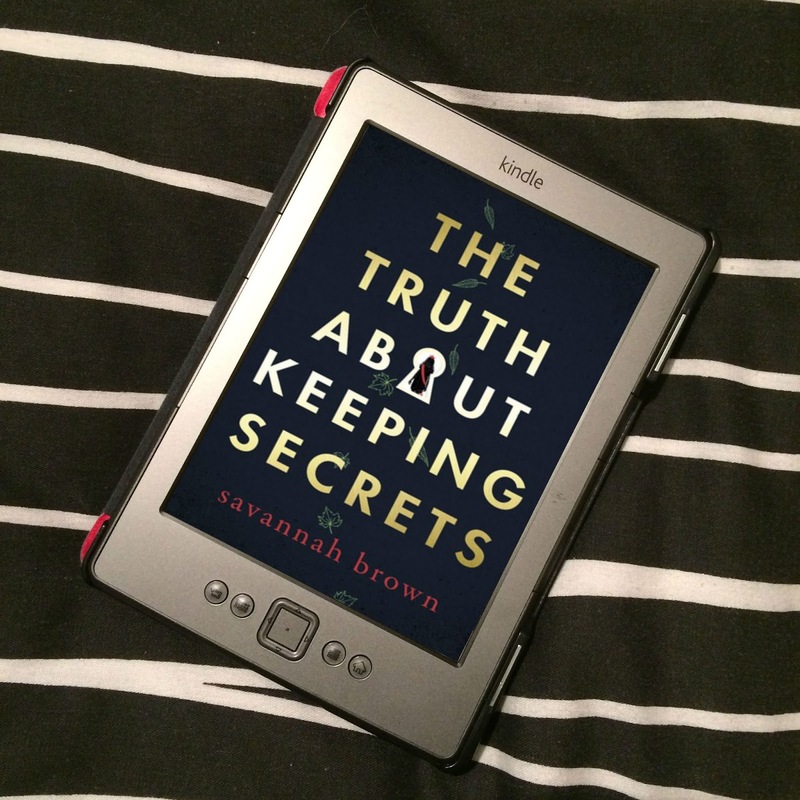 Libby may give Jack a nudge in the right direction with her support, but it's Jack who takes the initiative to finally get himself tested, to understand more about his brain, and to, eventually, come to terms with it. Jack may have a thing for Libby, but Libby's sense of self-worth doesn't come from Jack being attracted to her, that comes all from herself. And though I absolutely adored the romance between Libby and Jack, and how they affect each other, I was equally invested in their individual stories. I felt kind of uncomfortable at the beginning of the book. Libby is bullied for her size throughout the novel, and it's bloody disgusting. But when a main character, a narrator you're starting to like, becomes the bully... I really, really struggled with that. There is absolutely no excuse, and I can't forgive Jack for what he did, but at the same time, I understand, and that is what I really struggle with. Jack didn't want to bully Libby, he felt sick at the very thought, but he was genuinely worried about what his friends would do to her, how far they would go, if he wasn't the one who "played the game" (I'm not going to talk about it, you can read it, it's just too awful to give words to.). So why didn't he just tell his friends they were out of order and they shouldn't be doing this? Because they were his friends, and without them, with his Prosopagnosia, who would he have? There's a moment where Jack wonders if he's friends with Seth and Kam because he likes them, or because they have unique identifiers - certain features that he can identify as definitely their's and not someone else's, like Kam's white-blonde hair and Seth being the only black guy at school with a mohawk and his very destinct laugh. Jack is pretty certain that he's looking at Kam or looking at Seth when he sees them, because no-one has hair, or a laugh, like them. But other people are too similar. With these guys, he's safe; he doesn't have to worry about if this person is who he thinks they are, he knows. It's difficult to be friends with other people when, to him, they all look the same. So if he tells them to back off and leave Libby alone? He'll end up alone. But if he bullies Libby himself, he can make sure things don't go from disgusting to far, far worse. I can't let him off for what he did and I don't like it, but I can understand why he did it. And as the story went on, I really felt for him. There is a truly heartbreaking moment when Jack has to pick up his little brother from a party, and, oh my god, it is one of the most upsetting things I've ever read. Libby is a force to be reckoned with. She has spent far too long in her house or in hospital to let bullies stop her now. How she's treated does affect her, and she does doubt whether going to high school rather than continuing with home schooling was wise, but she strengthens her resolve, and keeps going. And Libby challenges stereotypes; she's a big girl, but she's an incredibly fast runner, and this girl can dance. The dance is in her, as she says, and she dreams of joining the high school's dance troupe and applies to audition. Despite her size, despite how people treat her. She loves to dance, so why shouldn't she? And why should her weight be a problem when she's got the moves? Libby is still a big girl, but she's happy in her skin now - it's everyone else who has the problem. Libby is just absolutely amazing. She takes a stand against the bullying and fat-shaming in such an incredible way, I am in complete awe of her. Seriously, it's epic. And the way she stands up to how she's treated, challenges the views of others and impossible beauty standards, it's like her own feminist campaign. Feminism is not mentioned at any point in this book, but I feel certain that Libby is a feminist in the making. She's wonderful! I also want to touch on Libby's anxiety. 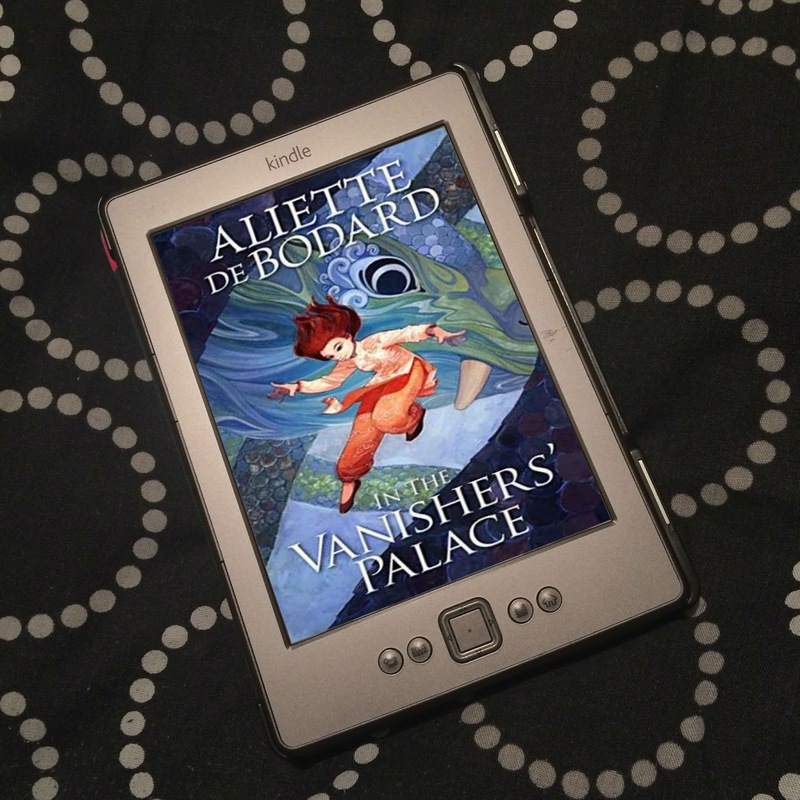 It's not a major element of the book, but it's present and something Libby struggles with occassionally. And as someone who was diagnosed with anxiety a few months back, it was so wonderful to read about a character who has anxiety, where it wasn't ruling their life. It's just a part of it. It made me hopeful that I'll get to the point where my anxiety is just a part of my life, and not so prominent. 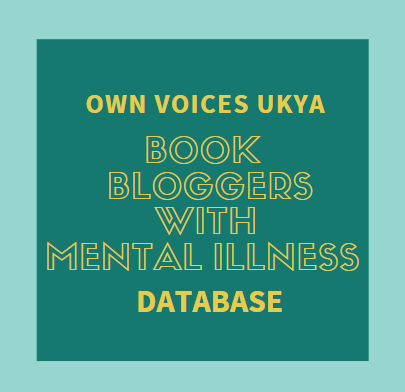 The panic attacks she does have felt realistic, and it was great to read in the acknowledgements that Niven herself struggled with anxiety - as well as weight issues and bullying - when she was Libby's age, so it's great to know Holding Up the Universe is an #OwnVoices novel. Libby's anxiety was born from the death of her mother, who died out of the blue because of an aneurysm. Years have gone by, but the pain and sorrow are still with her. It's thoughts of her mother, the things she taught her, the sayings she had, that informed Libby's actions and keep her going, as well as what she thinks her mother would say to her about certain situations if she was still alive. She tries to be the daughter her mum would be proud of. Together, Libby and Jack are adorable. Neither of them are perfect, neither are as honest as they could be, and things aren't always wonderful. But they each give each other something they have never had before, and oh my god, their moments together and how they think of each other, it's just so, so beautiful. Finally, this book is brilliant when it comes to diversity. As stated, Libby has anxiety and had an eating disorder, Jack is biracial, with an African-American mum and a white dad, and has Prosopagnosia, which, by some who have the condition, consider to be a disability (though others don't. Clarified by Disability in Kidlit on Twitter.) There are also a wide range of secondary characters from various ethnic backgrounds. This isn't All the Bright Places, but Holding Up the Universe has a similar feel. While reading this book, your heart will break and your heart will mend. When I went to bed after finishing it, I couldn't stop thinking about Libby and Jack and their story. I was so moved by the beauty of Holding Up the Universe, it brought tears to my eyes. Niven has written another unbelievable novel that has deeply affected me, another I won't forget. With these two books, Niven has firmly secured a place as one of my favourite authors. *Please note my copy of Holding Up the Universe is a proof, so this quote may be different in the final, finished copy, and may be on a different page. Thank you to Penguin for the proof.